Tranquil Body Treats opens a store in Wellington / Gee Whiskers! 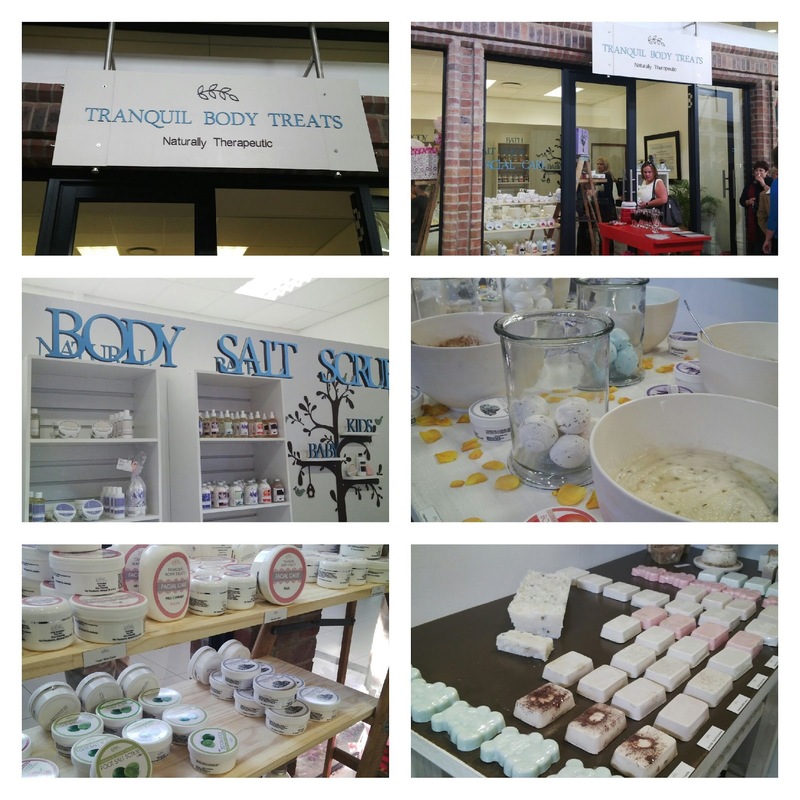 On Saturday I attended the Tranquil Body Treats store event in the Welgelee Plein Shopping Mall in Wellington. I have long been a fan of Tranquil Body Treats products and was so thrilled to hear that Leigh has moved this wonderful brand closer to Cape Town (You can read my posts here). The store is decorated is such a way where the products take centre stage and add to the decor of the store. Like other visitors to the store, I used the opportunity to stock up all all of my favourites - my favourites being the body salt scrub, natural soaps, fizz balls and bath sherbets. Tranquil Body Treats make so many amazing fragrances but my favourite is definitely the Bluebell scent. My sister personally loves the Chocolate and Vanilla scent, because she is a chocoholic. What made the event even more special for me is that I got to see Leigh again. I also got to finally meet Charlene from Pretty Please and Bronwyn from Mother City Mom. They are both such wonderful ladies who I really enjoy communicating with via twitter and in comments on your blogs. My sister and I also used the outing as the start to our Sisters weekend away in Franschhoek. Such a wonderful weekend.